Hello and welcome to my Taylor 114ce review. I’ll also provide video of the 114ce in action so that you can get an appreciation of the tone for yourself and some user reviews so you can read about other people’s opinions. O.k. let’s get right into it. 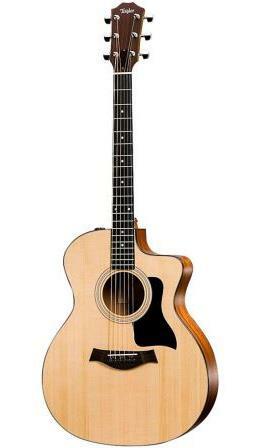 The 114ce is part of the Taylor’s 100 series of acoustic guitars. 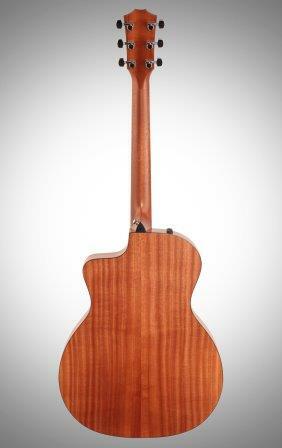 These guitars have laminate Sapele back and sides. This makes them slightly warmer in tone compared to their older brothers in the 200 series. When comparing the 114ce side-by-side with the 214ce I could definitely notice the difference. In comparison to the 214ce, the 114ce was a warmer sound with less overtones. It was more mid-rangey and had trebles that were less shimmery and less pronounced lows than the 214ce. This isn’t necessarily a bad thing. This might be the sound that you prefer. I often prefer a warmer more-subtle tone. And the 114ce isn’t by any means super-warm or super mid-rangey. It still has a solid sitka spruce top (a mahogany top would make it more-so). On a scale of 1-10 (with 1 being the warmest and 10 being the brightest) I’d say that the 114ce would be around a 5. The 214ce would be around a 7. Also because it’s the Grand Auditorium shape, it brings in a nice balanced tone and a good middle ground between responding to a light touch (loud enough even if you play lightly) but also being quite loud if you really strum it hard. The 114ce is fitted with Taylor’s Expression System 2 electronics. This is an acoustic-electric model guitar. 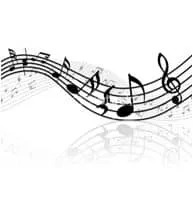 Check out the videos below to get an idea of the sound for yourself. Can you pick the difference? Which one do you prefer? Feel free to leave a comment at the end of this post. The 114ce plays rather nicely. All Taylor’s, even their lower end models tend to play fairly similarly. And, in my opinion, well. The action felt pretty good as it was. I’m fussy and like my action quite low, so I might have played with it to adjust it down a little bit if I bought it but it was pretty good overall. The 114ce has a 1 11/16” (43mm) nut width. This is standard and felt nice. I like the feel of Taylor’s necks and this was no exception. The fretboard is made from ebony as is the case with all Taylor’s. This is my favorite fretboard wood so I was definitely happy with this aspect. It has a 25 1/2” (648mm) scale length. This is a full scale-length. Scale length effects the tension (a shorter scale length has less tension). The tension felt like what you would expect from a full scale-length. For me it was easy enough to fret but you if you have hand issues or if you are a beginner, then you might want to consider a guitar with a shorter scale length. Check out the user reviews below to see what others thought of the 114ce. Is an intermediate to advanced level player: Wouldn’t be bad for a beginner at all – but there are better options for a beginner. It’s an acoustic-electric guitar with a cutaway, it feels nice to play and the tone is pretty good. For a guitar that costs less than $1,000 you could do a lot worse than the 114ce. If I was looking for a new guitar in that budget range, the 114ce would be on my short-list, for sure. If you are interested in learning more about the 114ce or want to research prices and availability, check out the links below. Thanks for reading and I hope this review has helped you to learn more about the 114ce.